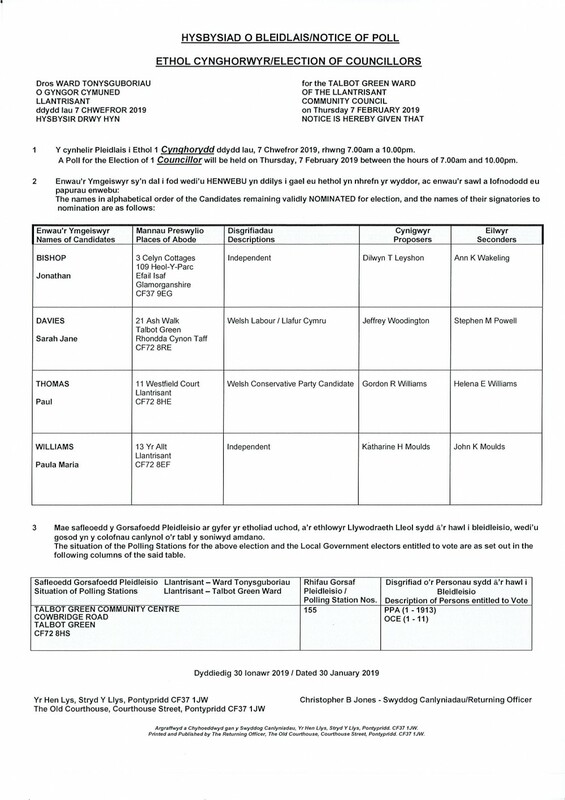 Official notice of poll now available for the 4 candidates standing for the Talbot Green Ward election to be held on Thursday 7th February 2019. When many Community Councils struggle to get people to stand this is an excellent position to be in. 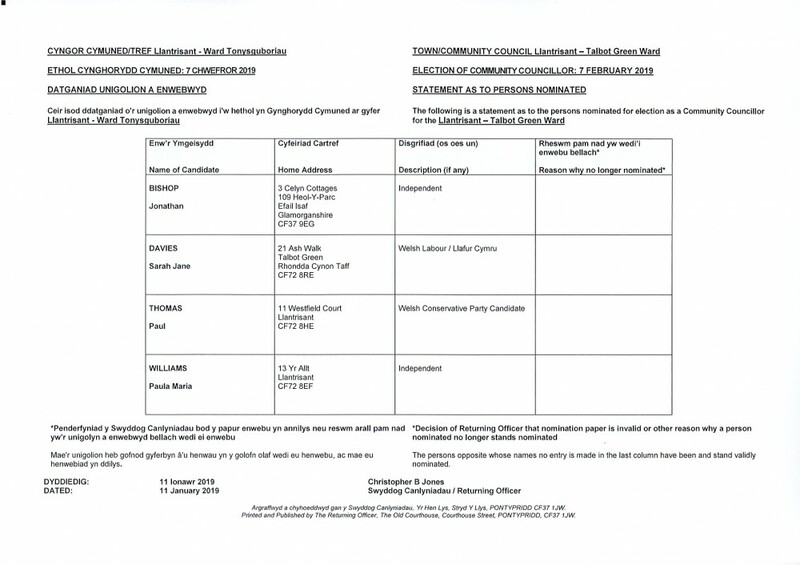 Talbot Green residents make sure you remember to vote.